Overall this week was productive. I fell the burn and I am very sore, but I know it is worth it. My calves are hating me the most out of any muscle this week. I am looking forward to the weeks to come. 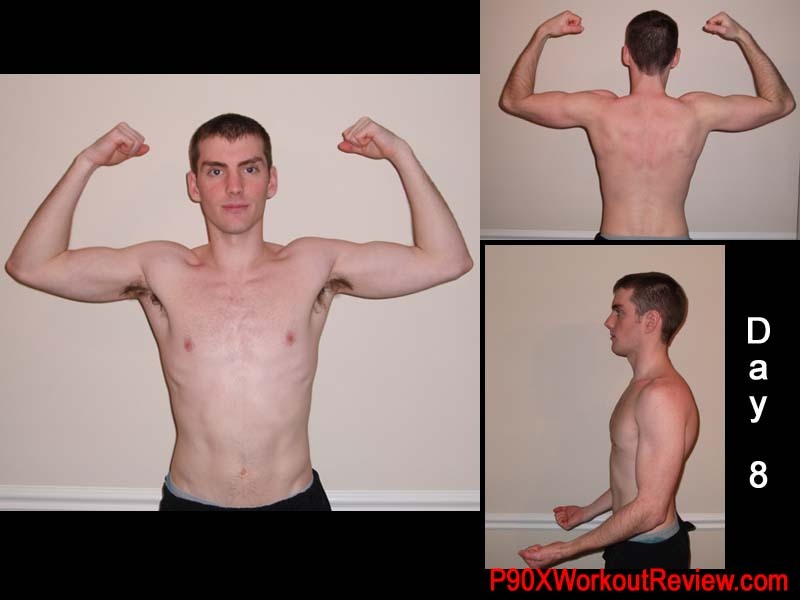 To all you fellow p90x-ers out there…how long did it take before your muscles stopped getting sore? I cant believe that week one is over. I have really struggled with my diet this week as I came from such a terrible diet. I usually ate only two meals a day, and they were usually fast food including lots of soda. I have managed to not have soda once this week, and I have prepared every single meal. Since my goal is to gain weight I have been eating more calories but also much healthier foods. I have been eating at least one Shakeology shake with two scoops of added protein each day along with a protein bar sometime during the day. I have also been working my way up to 6 meals per day. I know I put on some weight however I think the 6.8 lbs may have been a bit skewed since I did not weight myself at the same time both days which is a big no-no. Hopefully I will end up around 160 by the end of 90 days. Week 1 went about as well as I could have hoped for. Although, I did have soreness in my arms and legs that lasted for several days that I wish I didn’t have. Other than that I just felt better every day because I knew i was being active and doing my body a great favor. Now that I have made it passed the first week I am confident I will make it through the whole 90 day program. I can’t wait to see my future results! @Chelsea: My muscles seemed to stop getting near as sore around the start of the second week, so you are just about there! 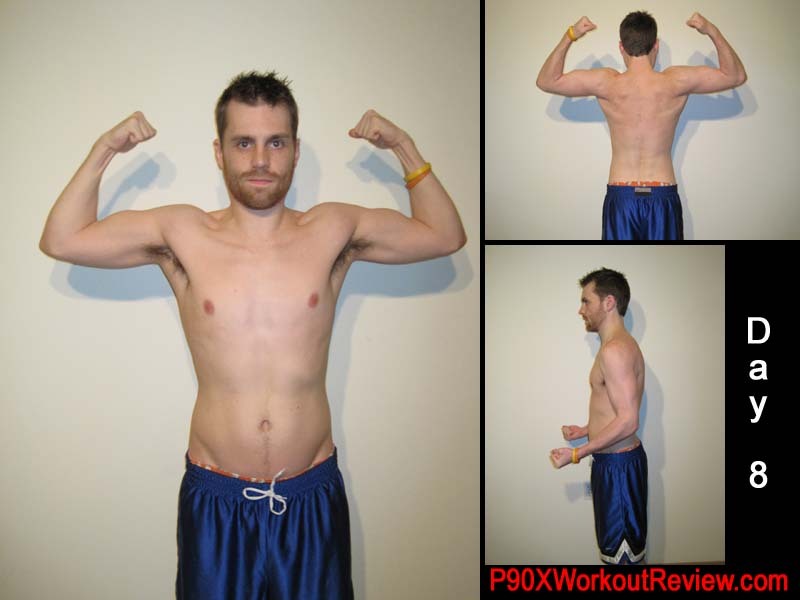 When I do P90X, I’d say 80% of my initial soreness mostly goes away by the first recomery week. But that legs and back workout kills my glutes for a long time! Way to clean up your diet! It will be fun watching you guys. I enjoy your blog. Keep up the hard work and keep posting!